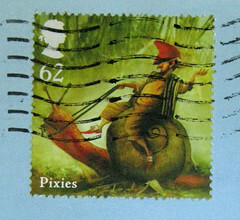 This card came from someone with whom I exchanged postcards via Postcrossing. She likes pen palling, we have a lot of interests in common, so lo and behold, we're writing letters now. Seee??? You CAN get pen pals from Postcrossing! She sent this lovely card featuring work by Th. Kittelsen. It has a very magical feel to it. 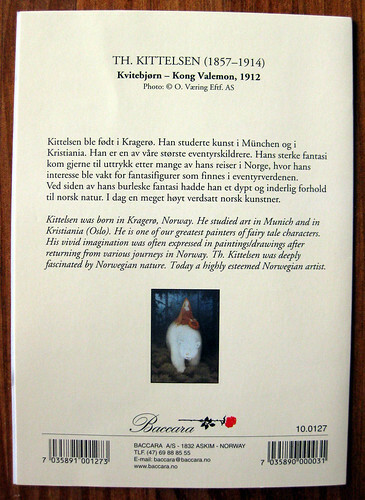 On the back of the card, you can read a bit more about Kittelsen (and, if you have a Flickr account, you can view large to read it even better). I wish I could translate the title - bear king? Something like that? 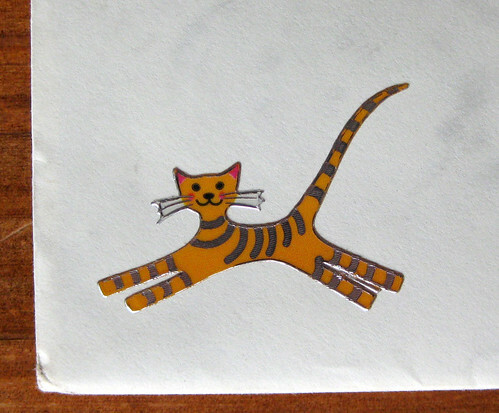 She included a lovely kitty sticker on the envelope, too. how nice yes I also got a pen pal from post crossing . That is just awesome and glad you shared this with us . I love it . 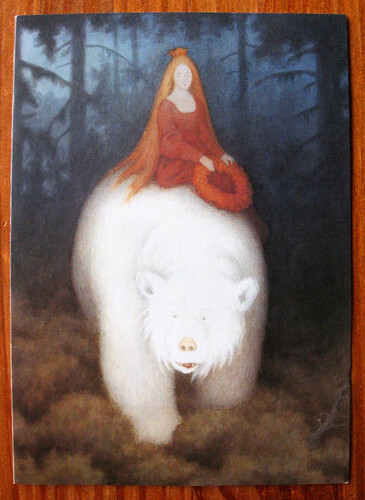 I love both art, cats and polar bears. So this card really speaks to me! It is terrific! Thanks for sharing it Ilona. When Will I get another letter from you by the way? It is been quite a while since I got a letter from you. Tascha, please be patient. I have a lot of letters to write, and there are still many in front of yours in my pile. Reminds me very strongly of that great East of the Sun West of the Moon story. It reminds of the Golden Compus Movie. That card is absolutely gorgeous! Just wondering...did you receive my letter? Marianne - Yes, there is a letter in my pile from a Marianne in the NL. I get a lot of mail and it takes me quite a while to respond to each one. Will wait patiently for your answer!